I believe that how we treat one another will define who we are as a church. And that is why we need more than a bucket full of Grace to help us. Grace is God's unmerited favour. You can’t buy or earn God’s grace. You receive it, like you would a present. Boy demands inheritance money from Dad. Dad obliges. Boy runs away from home. Boy squanders all the money on a rock star inspired lifestyle. Boy is hungry, broken and sorry. Boy runs home. Dad has been waiting for his boy. Dad bear hugs boy and throws an epic party to celebrate his return home. Boys big brother finds out. Big Brother is mad and spits his dummy. Dad reminds Big Brother of some home truths. The End. The Big Brother was in the field when his Little Brother returned home. He wasn’t there when his brother had his moment alone with his father. In the same way, we are not there when someone else has their moment alone with God. He had overheard and been half informed by a servant what had gone on. But he hadn’t spoken to his Dad or Brother. It's toxic to our own souls when we take to heart things that we overhear or hear second hand. We can't know unless we were there. The Big Brother was a party pooper. In his anger he behaved like an overgrown toddler having a tantrum. No one wants to be around a party pooper. Let's be determined to be party starters. Let's celebrate each other's wins. Let's be glad when someone else gets that thing that we have been praying for. To celebrate literally means to be glad about God's grace. 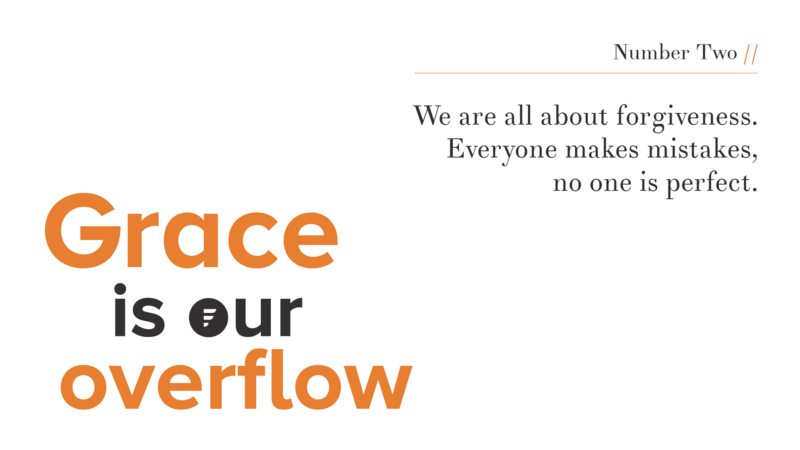 So, we can only celebrate when grace really is our overflow. The Little Brother messed up in a catastrophic way. The Father ran towards him, his Big Brother ran away from him. Let's be like the Father. Let's wade in and say "Your mess is my mess". Families stick together and that is what we are, family. When we mess up, God never leaves us alone, not for a minute. Let's determine to show one another the grace that we ourselves have been shown so many times.